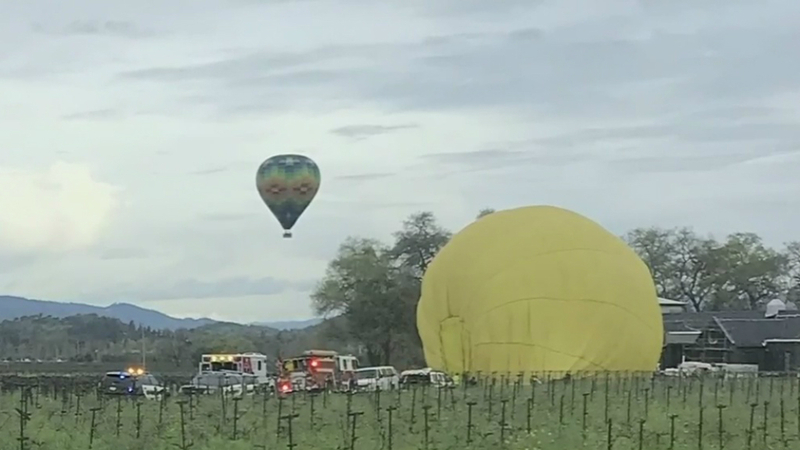 On April 1, 2019, about 0757 Pacific daylight time, a Cameron Balloons US, A-400 hot air balloon, N6954YA, impacted power lines during flight near Napa, California. The pilot and 16 passengers were not injured, one passenger sustained serious injuries and two passengers sustained minor injuries. The balloon was not damaged. The balloon was registered to and operated by Balloons Above the Valley under the provisions of Title 14 Code of Federal Regulations Part 91 as a sightseeing flight. Visual meteorological conditions prevailed and no flight plan was filed for the local flight that originated at 0730 from a private vineyard in Napa. In a telephone conversation with the National Transportation Safety Board investigator-in-charge, the pilot stated that the balloon encountered a sudden downdraft and the bottom of the basket contacted the nearby power lines. The pilot subsequently landed the balloon uneventfully. The passenger with serious injuries reported to the police officer that she grabbed onto the power line when she tried to push the basket away from it. The pilot reported no mechanical failure or malfunction with the balloon that would have precluded normal operation.